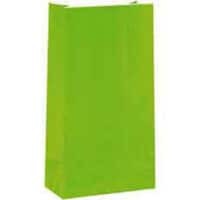 Add a little class to your party with our range of paper party bags. The red party bags are made from quality red candy stripe paper. Hand these paper loot bags out at your childrens kids party and put a smile on their face. Fill with party toys and fillers or party sweets and goodies. The bags measure approx 25cm x 13cm x 8cm.